The force is strong in this Star Wars themed black watch. 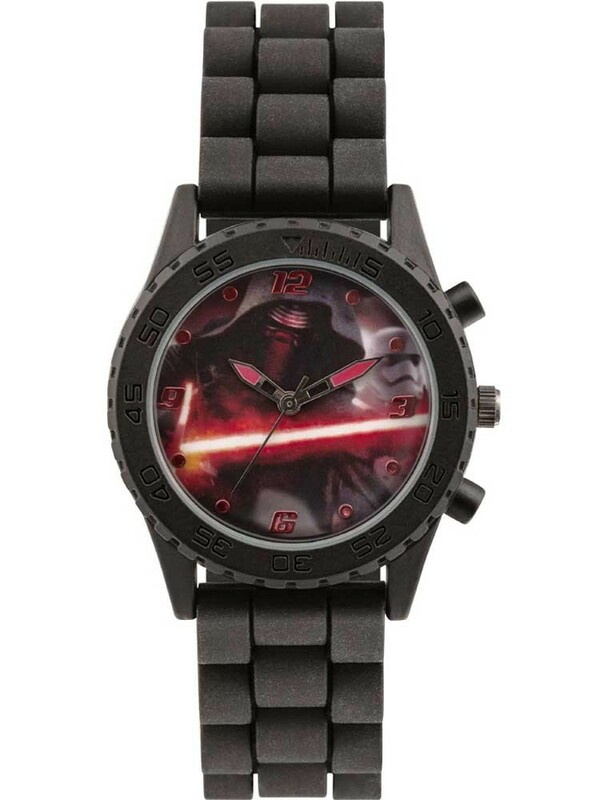 The Kylo Ren red light-saber themed plastic watch uses dark red futuristic digits as hour markers and rigid looking black plastic outer ring. The case is connected to a silicone link style strap which fastens securely and comfortably.